halloween, what a great holiday. what's more fun than dressing up and getting free candy? 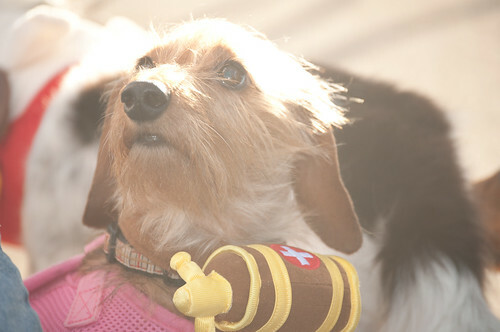 we went to the annual dachshund meetup group costume party, and of course the dogs enjoyed every minute of it. 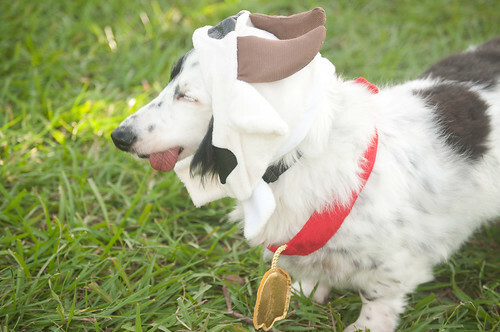 we stayed pretty simple with the costumes this year, enhancing each dog's natural features and unique characteristics. 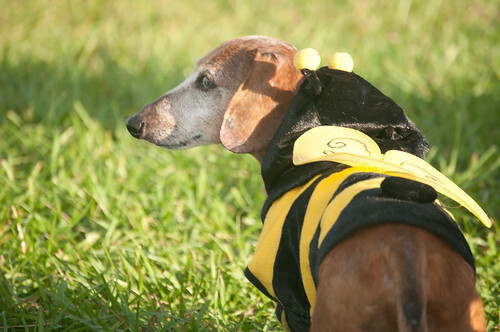 riley was a bee. he even attempted a little pollinating. winnie was a rescue dog. someone over here need *hic* rescuing? and dash, with his spotted coat and girlish figure, was a cow. Great costumes everyone!! Mom & I love them all:) Hope you had a great halloweenie! !